Some of our Associates are teachers, artists, community development specialists and even well known facilitators or conference speakers in their own right. 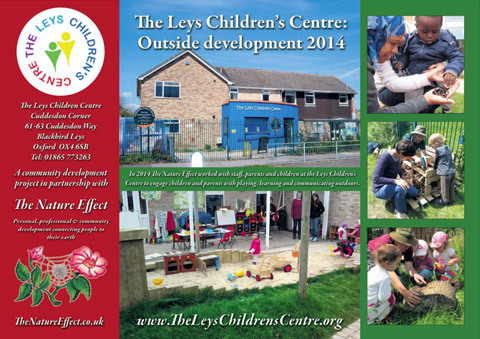 Contact us if you need a facilitator for a workshop, activity or series of events. 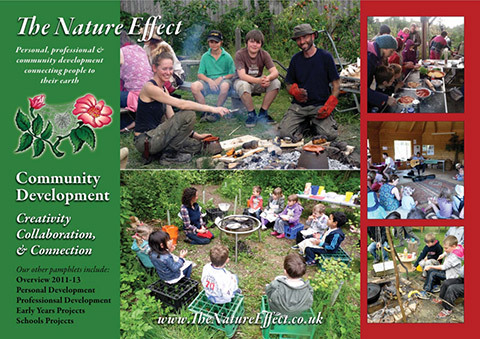 We may be able to find you a bushcraft tutor or help develop a programme of outdoor activities as part of community engagement or a programme of learning and development. 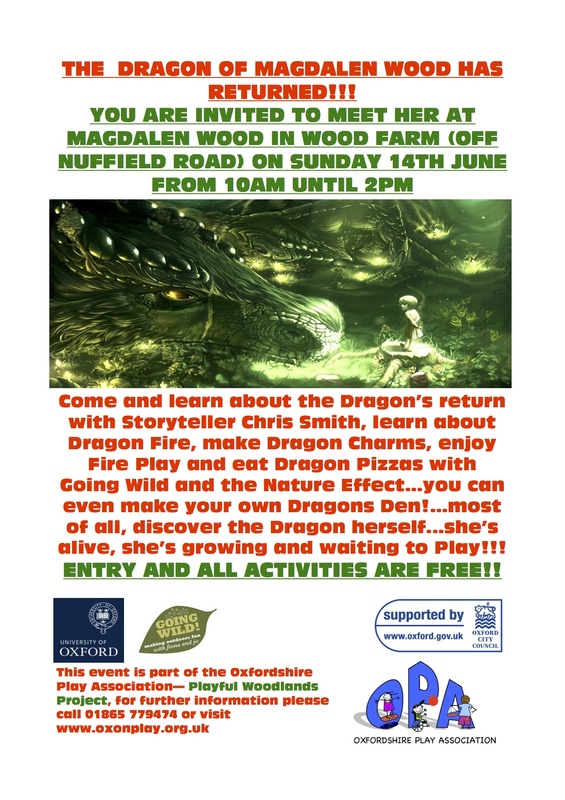 Come and learn about the Dragon’s return with Storyteller Chris Smith, learn about Dragon Fire, make Dragon Charms, enjoy Fire Play and eat Dragon Pizzas with Going Wild and the Nature Effect...you can even make your own Dragons Den!...most of all, discover the Dragon herself...she’s alive, she’s growing and waiting to Play!!! ENTRY AND ALL ACTIVITIES ARE FREE!! 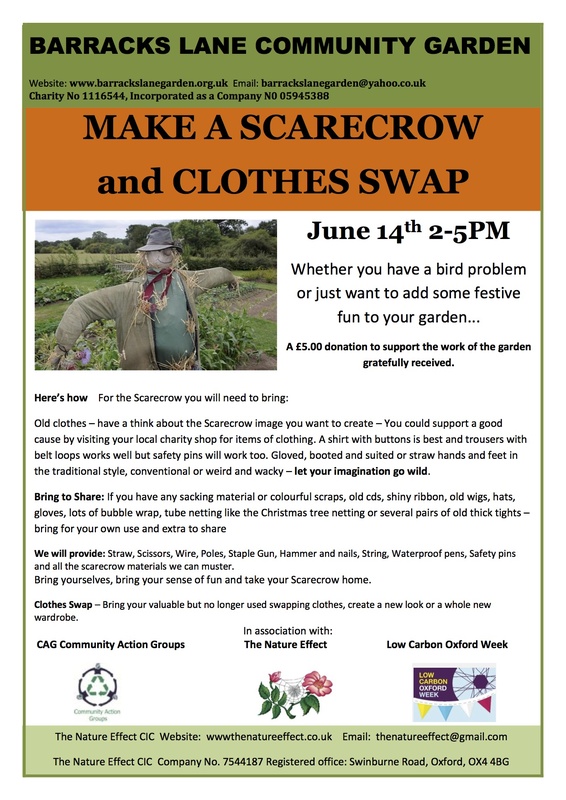 June 14th at Barracks Lane Community Garden. We will provide: Straw, Scissors, Wire, Poles, Staple Gun, Hammer and nails, String, Waterproof pens, Safety pins and all the scarecrow materials we can muster. Bring yourselves, bring your sense of fun and take your Scarecrow home. Clothes Swap – Bring your valuable but no longer used swapping clothes, create a new look or a whole new wardrobe. Our favourite project with schools this year was Bread Butter Soup. 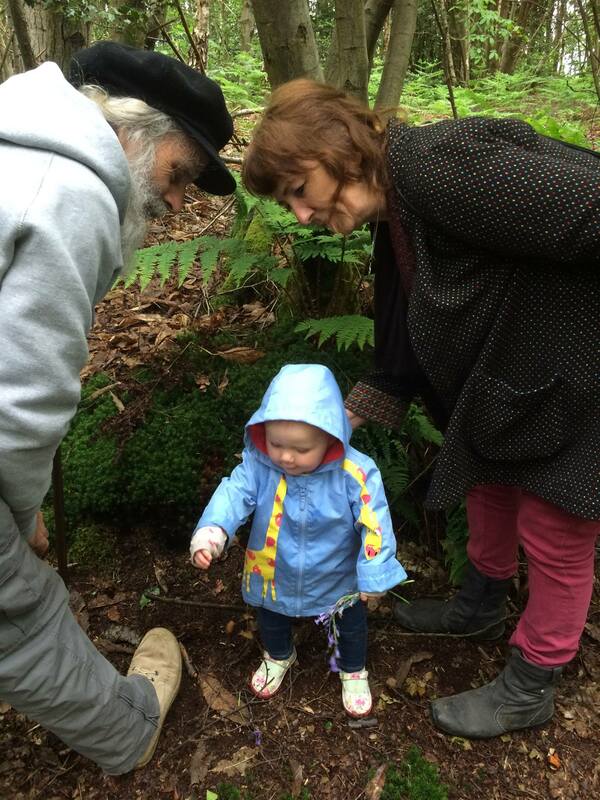 Children and young people came to learn about where bread, butter and soup actually come from. They learned to mill flour from grain and churn butter from cream. 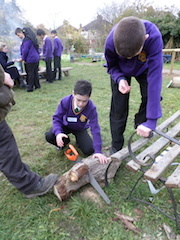 They learned about energy sources and ecosystems - and how to cook soup and bread on real fire (afte chopping the wood of course). We hope to develop mobile workshops like this over the coming year. 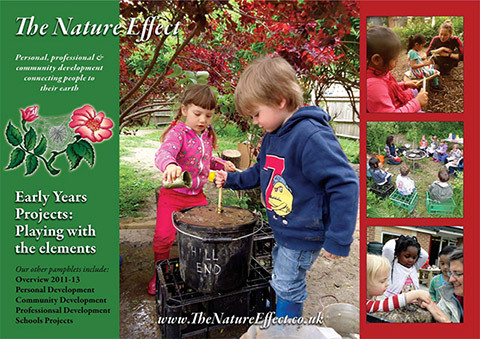 If you know a school that would be interested, please get in touch. 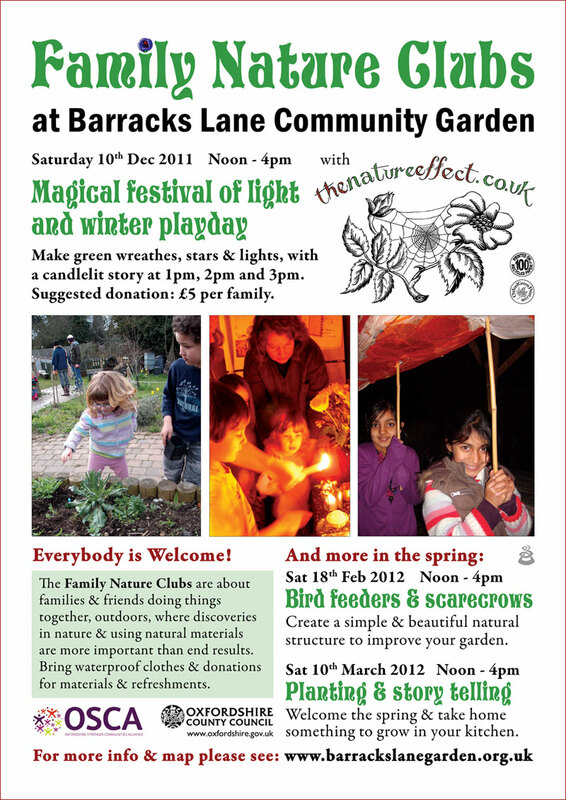 We often work at www.barracklanegarden.org.uk as well as with community centres, schools, children's centres or at festivals in Oxfordshire and further afield. 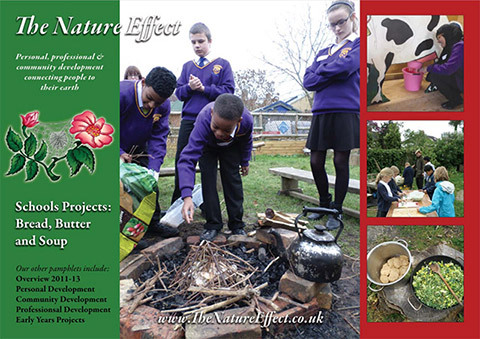 We work with natural materials and traditional crafts, and enjoy playing with the elements of fire, wood, water. We also think every event is enhanced with good outdoor cooking!